The launch of the Bristol Pound on 19 September was the subject of international media attention, and rightly so. The decision by a whole city to reject the pound sterling and take charge of its monetary affairs is an exciting and unique one. 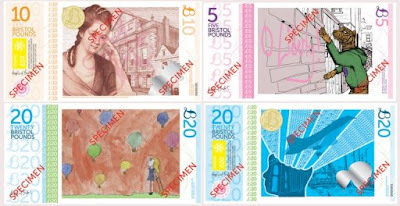 However, the most important aspect of the Bristol Pound went widely unreported: the local council is prepared to accept it for payment of local taxes. Once a political authority underwrites a local currency in this way it can become a viable alternative, and the Bristol Pound is the first currency that has been accepted in this way in the UK. This week I published a report with the Green House thinktank called Local Liquidity where I discuss the implications of this change. I frame the post-2008 financial crisis in terms of the failure of effective demand. Quantitative Easing has not only increased inequality, as indicated recently by the Bank of England, but has also created only ineffective demand. If local authorities were to back their local currencies this could enable them to generate effective demand to replace the financial energy they have removed through successive years of spending cuts. A more immediate and effective alternative, of course, would be for the government to spend the QE money on building green infrastructure, but that is beyond the control of local communities. The report includes an authoritative account of the different types of local money that are in circulation across the world from Germany's hugely successful Chiemgauer to the currency issued by Banco Palmas in Brazil and Rotterdam's Nu-Spaarpas. It explains how the design and democratic control of local money can help to reverse the tendency of central bank money to favour elites and starve small businesses. From a green perspective, the building of s sustainable society requires a transition towards a system of self-reliant local economies, where the majority of our needs are met from genuinely local production. 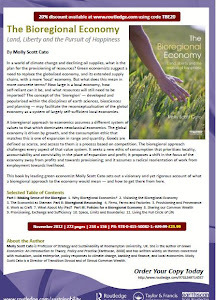 Green economists see the lengthy supply chains of the global economy as wasteful of energy, as well as leaving us vulnerable in the face of rising fuel prices and more unpredictable weather resulting from climate change. Rather than increasing growth for the sake of it, local currencies can shift economic activity out of the globalised economy and into the local economies on which we will all come to rely. The rapidly growing body of evidence about local currencies indicates that their popularity is counter-cyclical, that is to say that they flourish in times of liquidity crisis, when there is not enough conventional money to support necessary economic activity, and shrink again when the capitalist crisis passes and the economy revives. This is true of the non-circulating currencies such as LETS and time-banks but particularly notable in the case of the scrip currencies that supported local economies in the US Midwest during the Great Depression and more recently during Japan’s lost decade. In a globalised economy local authorities often feel powerless to act to support the economies which support their citizenry, but they are not. Local authorities across the world have the power to support local currencies and enable them to underpin struggling local economies of both production and distribution. It's not an alternative currency when the only way you can get it, is by purchasing it with - guess what - £sterling. so the fact that the council accept it as payment for local taxes is neither here nor there. A £Bristol is still equivalent to £1.00. Is the US About to Default?